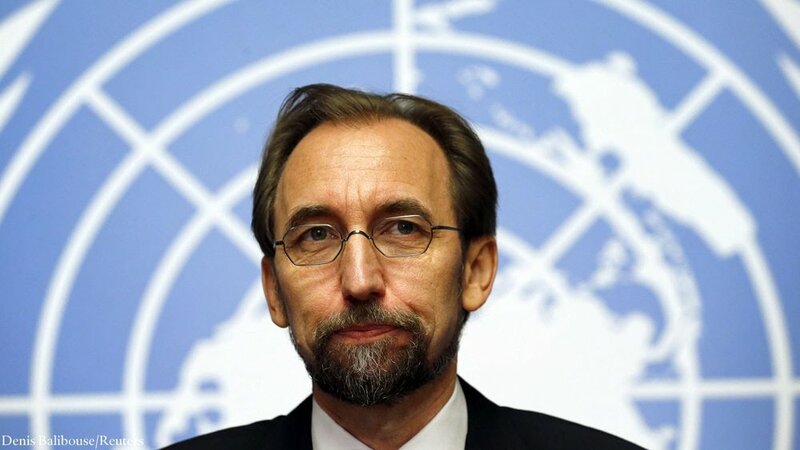 Following the approval by the General Assembly, Secretary-General Ban Ki-moon appointed Zeid Ra’ad Al Hussein of Jordan as the next High Commissioner for Human Rights. Mr. Al Hussein succeeds Navi Pillay of South Africa, to whom the Secretary-General is deeply grateful for her tireless efforts and dedication in championing the centrality of human rights in the pursuit of sustainable peace and development. Mr. Al Hussein’s nomination came at the end of an extensive selection process, which included consultations with Member States and human rights non-governmental organizations. Since 2010 and previously from 2000 to 2007, Mr. Al Hussein has served as Jordan’s Permanent Representative to the United Nations in New York. He was Jordan’s Ambassador to the United States and Mexico from 2007 to 2010 and Deputy Permanent Representative to the United Nations from 1996 to 2000. Mr. Al Hussein brings to the position an extensive career in multilateral diplomacy. Knowledgeable in international criminal justice, he played a central role in the establishment of the International Criminal Court, notably as the first President of its governing body, chairing complex, often pioneering, negotiations on “elements” of individual offenses falling under the crimes of genocide, crimes against humanity and war crimes. He served as political affairs officer in UNPROFOR in the former Yugoslavia, from 1994 to 1996. He worked intimately with peacekeeping issues for over nineteen years, notably as one of Secretary-General Ban Ki-moon’s five eminent experts on his “Senior Advisory Group” on the reimbursements to countries contributing troops to peacekeeping. Following allegations of widespread abuse committed by United Nations peacekeepers in 2004, Mr. Al Hussein was appointed by Kofi Annan as Adviser to the Secretary-General on Sexual Exploitation and Abuse. Mr. Al Hussein also served as President of the United Nations Security Council, Chair of the Security Council’s 1533 and 1521 committees on the Democratic Republic of the Congo and Liberia, Jordan’s “Sherpa” following the Washington Summit on Nuclear Security, and Chair of the Consultative Committee for the United Nations Development Fund for Women (UNIFEM). He is a member of the advisory committee to “The Institute for Historical Justice and Reconciliation”, based in The Hague, and served as member of the World Bank’s Advisory Council for the 2011 World Development Report. Mr. Al Hussein holds a Bachelor of Arts degree from The Johns Hopkins University and a doctorate degree from Cambridge University (Christ’s College). He was presented in 2008 with an Honorary Doctorate of Laws by the Southern California Institute of Law for his work on international justice.